Bais Shlomo. First edition Zolkiew 1800. 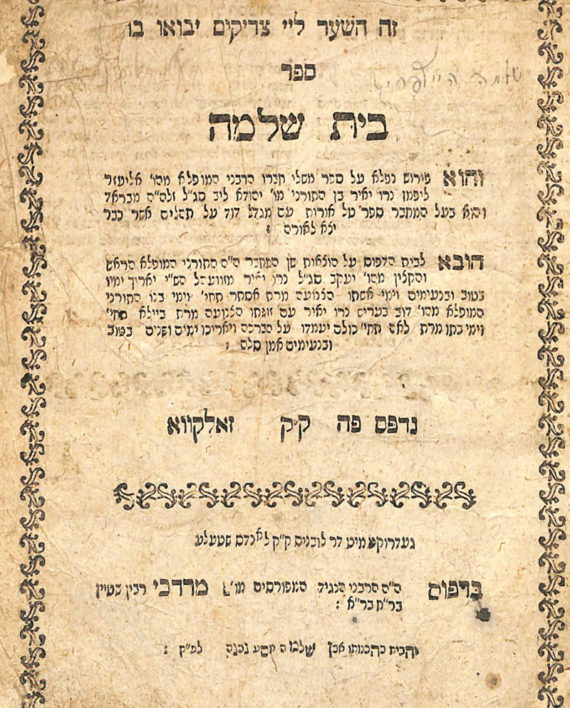 Commentary to Sefer Mishlei authored by R. Eliezer Lipman Segal. 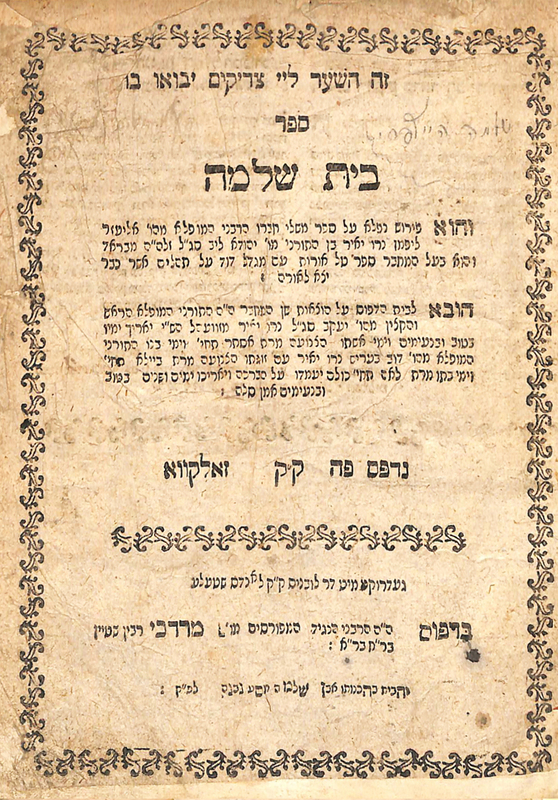 With important introduction entitled Pesach Ha’Bayis (unrecorded by Vinograd). With warm approbations by R. Shmuel Flackenfeld of Tarnapol and R. Meir Rav of Brod. R. Eliezer Lipman Segal was amongst the distinguished residents of Brod. The chachmei Brod who studied the famed “Kloiz” were world renowned as great scholars who dedicated their lives to Torah study. Vinograd Zolkiew 549. Rubinstein press. 1, 13, 50 pages. 21 cm. Good/ fair condition. Antique binding.